CDC plume feathers from Nature's Spirit. 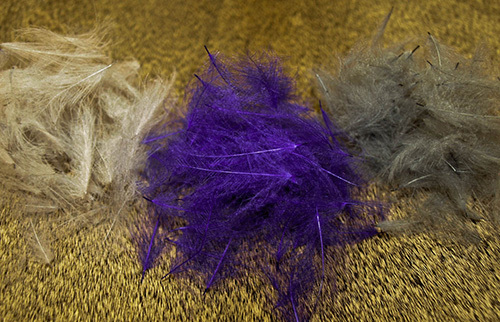 These are fine feathers found around the oil glands of ducks. The individual fibers have thousands of micro-barbs.These features offer better floatability and movement with CDC. Cul de Canard is awesome material for dry fly wings and bodies. CDC makes a great caddis pattern mixing the CDC with the Elk Hair as in Hans Weilenman's CDC&ELK, or can be used for wing posts, underwings, or emerger wing loops. Each package has 75-100 feathers. See Color Chart. These Oiler Tufts are great for emergers and dry flies. The short feathers lack discernible stems. Tied in as wing posts, these fluffy feathers trap a lot of air. 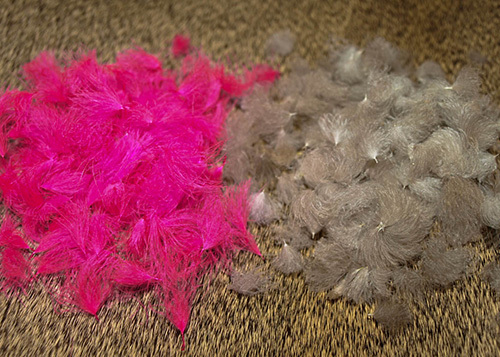 Each package has 75-100 tuft feathers. See Color Chart.